While I was visiting North Carolina Shirley took me to the French Laundry Home outlet. 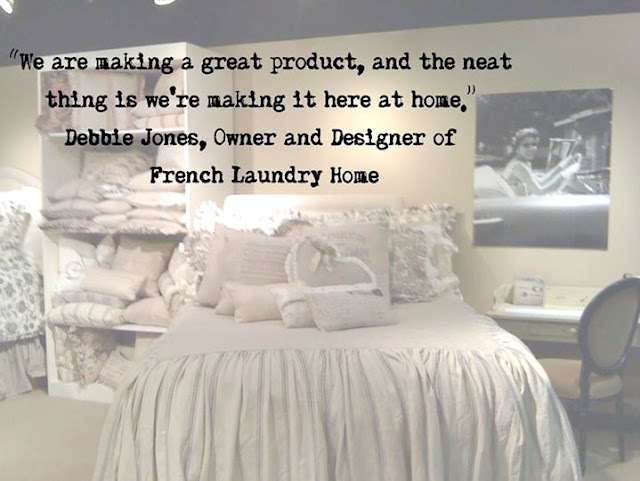 They make a lot of pillows and high end bedding, drapes, fun decor accessories for Neiman Marcus and Horchow, One Kings Lane and private boutique shops. 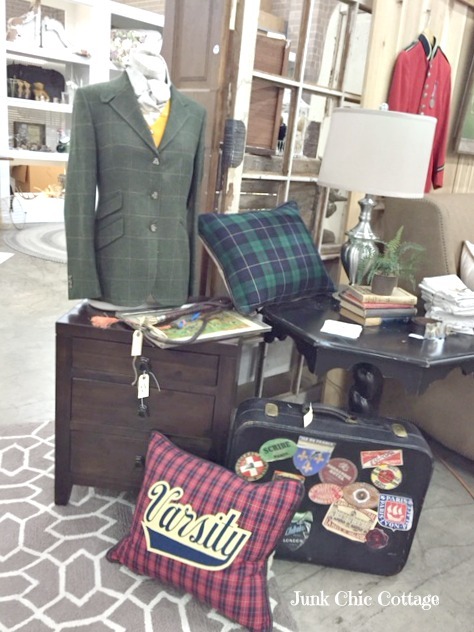 They have outlet prices and the day we made our visit you could take another 25% off. WooooHoooo! Everything gets cuter when it is on sale right?!!! They had a lot of cute beach decor. 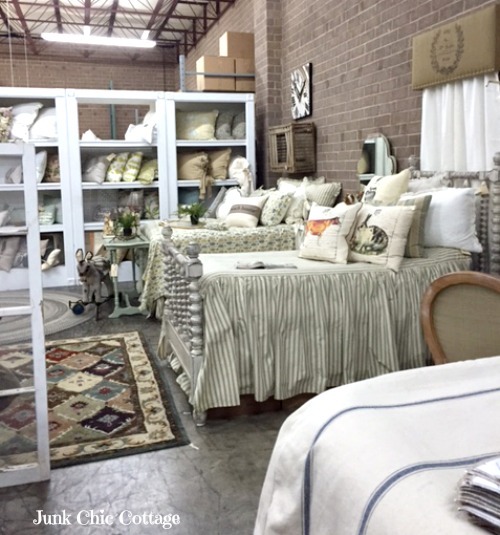 Lots of wonderful bed linens and pillows. Shelves filled with one cute pillow after another. 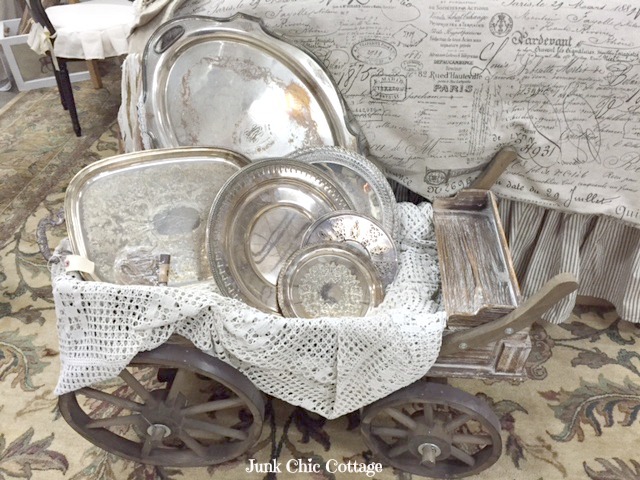 Such pretty silver trays too. 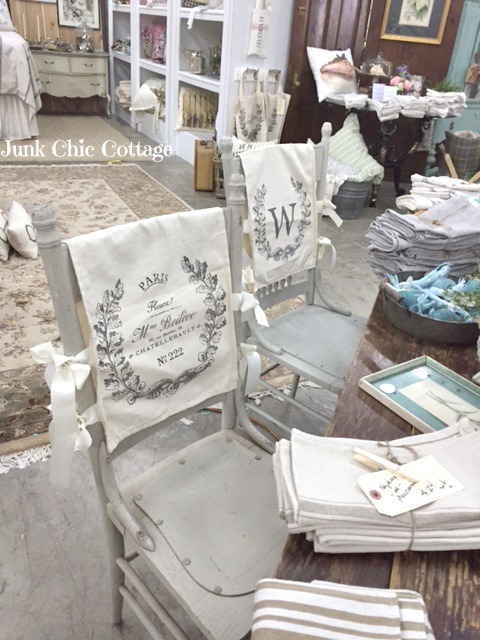 Lots of pretty french linens including these Paris chair covers. Gorgeous old desks and chairs with sweet covers for the chairs. 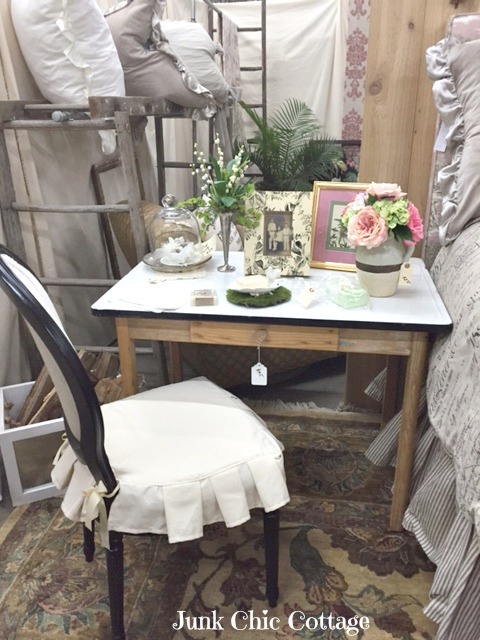 Some really chippy fun accessories and pretty lace linens. 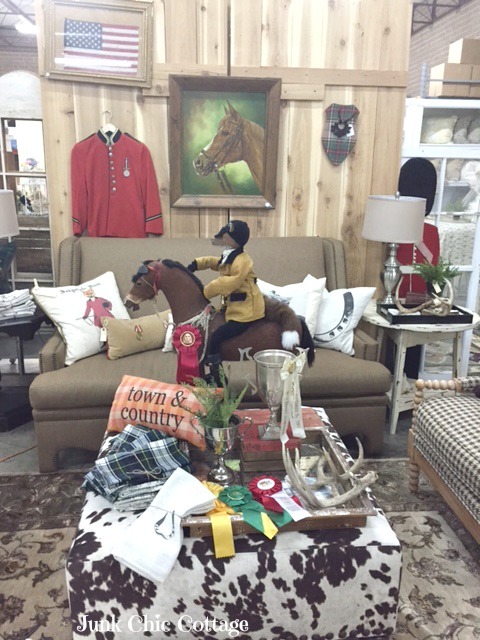 If you love equestrian and British decor they had a room full. Some fun vintage college decor. I loved this British guard. If I could have fit him in my suit case he would have come home with me. 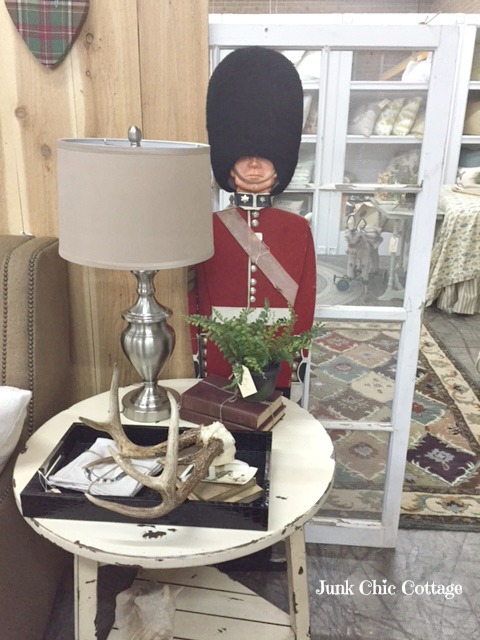 How fun would he be to have standing guard in your home decor. So many beautiful pillows. I got the lighter cream linen pillows. They were $40 dollars for the set with an additional 25% off. Great sale. There is Shirley doing what we call in the biz "the blogger pose" lol! Shirley was the hostess with the mostess and we had a fun time shopping at the French Laundry Home Outlet. There you have it. A little shopping while in North Carolina. 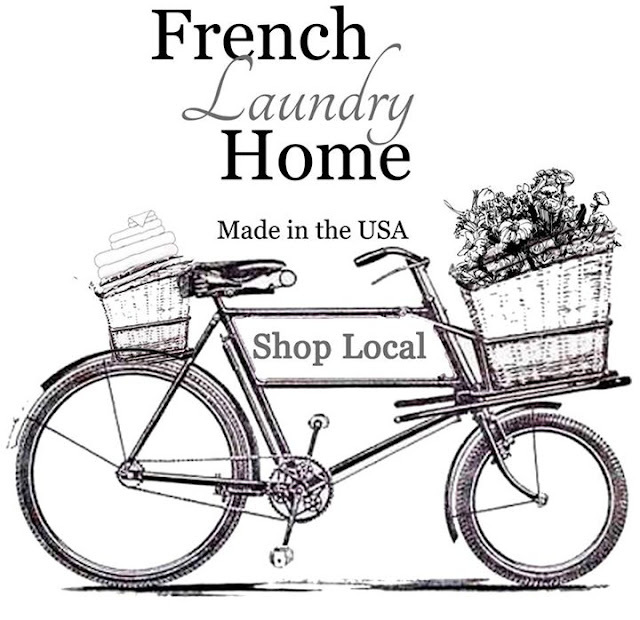 French Laundry Home outlet looks like shoppers paradise. Something for all styles. 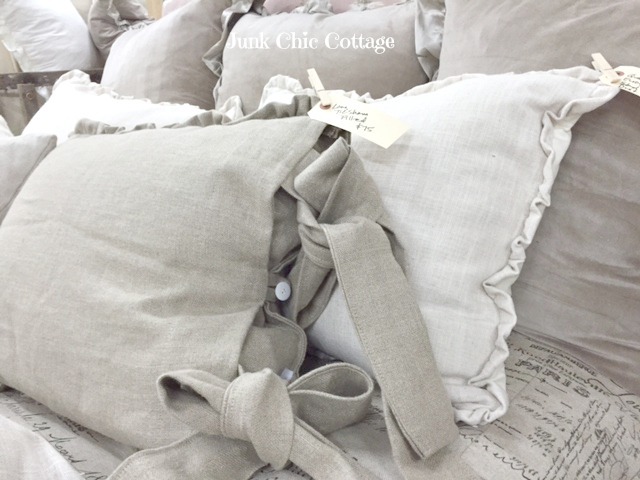 Love your choice of pillow shams you treated yourself to. Sure looks like you had fun! What a fabulous place! So many beautiful things - love the displays!! One of these days I'm going to get there. It's about three hours from the Beach where I live. Oooh and Ahhh, Love it. Glad you got some pretty pillows. What a wonderful place to shop! Glad you had a great time with Shirley! Ohhh I want to visit too! Glad you and Shirley had a great time together! What a fun and fabulous place. Shirley is the greatest, I am sure you two had a great time. This looked soo fun, Kris! That fox on the horse! I would've blown a wad in there. Loved the tour and thank you for sharing! 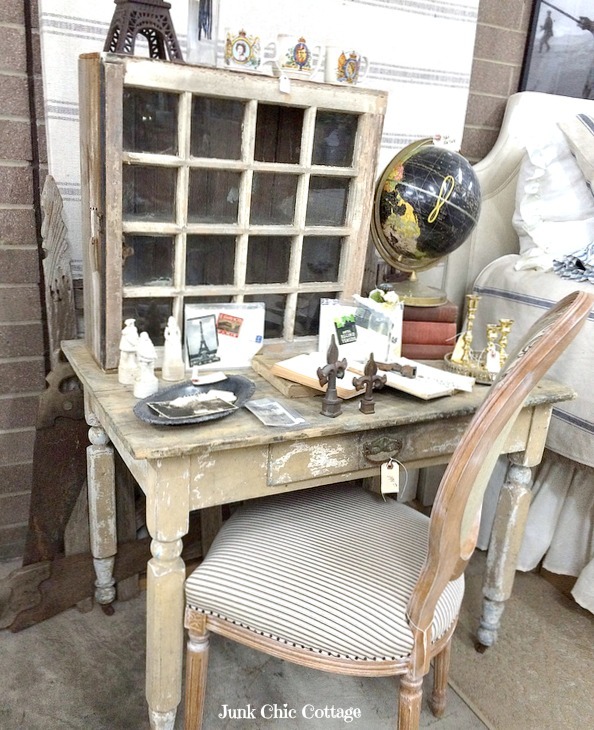 Oh Kris, I am totally drooling over this gorgeous shop! What a fun place that must have been to visit, and all on sale!! The linens are beautiful, they would have had to come home with me for sure. What a treat that you got to meet a blogging friend:) There sure weren't any cute shops like this in the area of NC we were in!! Glad you and Shirley had a great time Kris! They were at the Country Living Fair here in NY a few weeks ago...I came home with a cute pillow. They have the best pillows. 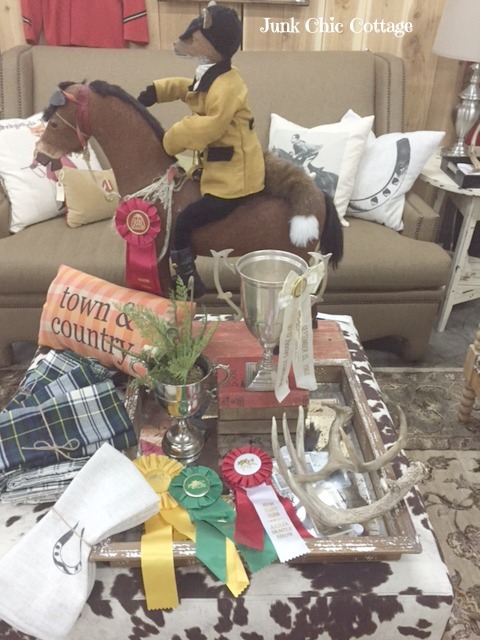 I bet you had a great time at the Country Living Fair. They had it here one time in Chicago and never did it again. I was so bummed since it is such a good show. Ha Ha..........hmmmmm..........where have I seen that pose before? Yes............my sister! That looked like a great store to visit. They had a lot of pretty things that I liked. Looks like a wonderful place to shop. I love their sign at the beginning of your post. I saw many fun items I would like to purchase. :-) Very fun!! Great store, what beautiful linens! Looks like you two had a fabulous time. Boy, that place has your name all over it!! Everything (well, most everything) looks like it belongs in your home. Y'all just had too much fun. 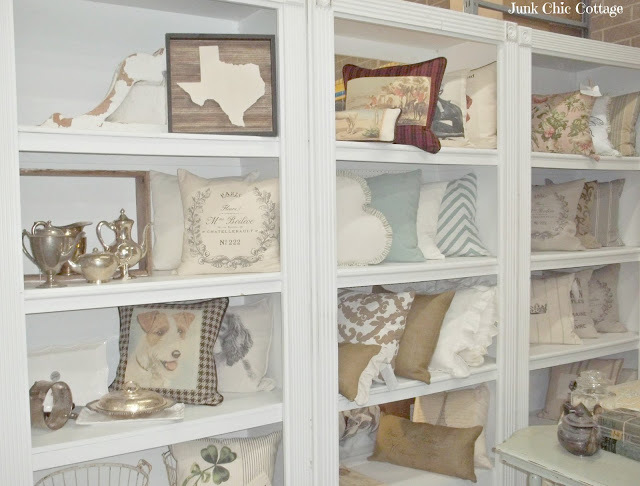 I have several FLH pillows from the Country Living Fair that she always sells at. I think it is outlet prices at the fair too plus extra off each day. Starts off 30% off the first day then goes to 40 and then 50 off the last day. Love the ones you got? Was that for covers only? I know you had a great time with Shirley in NC. Fabulous store...I see so many things that would have been hard to resist if I had been there. I've been catching up with your posts, your meetup looks wonderful and this shop must have been fun! Hope things become clear on the job front soon! So glad that you got to meet Shirley, she is a great lady and that you had fun. What a wonderful store, packed full of everything I love too! How fun that you got to go there. That desk really stood out to me, it's perfect! 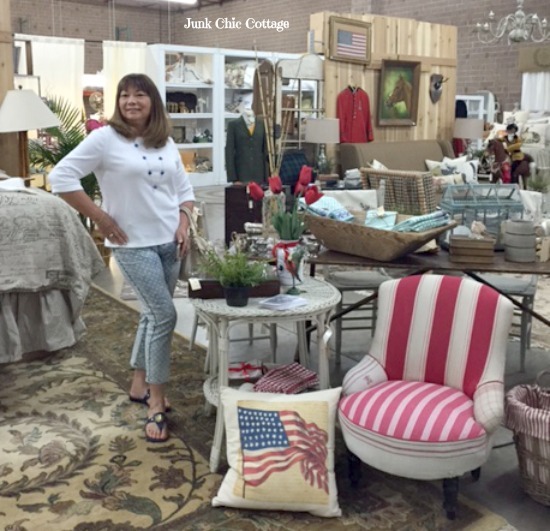 Looks like you and Shirley had a lot of fun and what a great shop! I have seen there pretties at a CL fair and they really have some beautiful stuff. Oh Kris how I could shop! You my dear inspire the best. What a wonderful shop, Kris! There are a lot of things I like but that black globe really stole my heart, sigh. What fun, Kris! 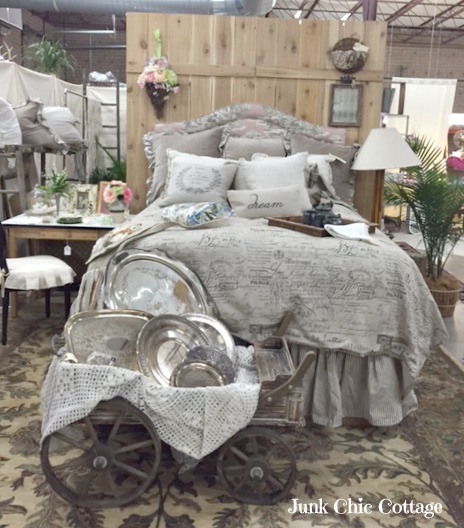 I am in awe of all the pretty linens, pillows and bedding! I'm so glad to hear there were sales---sometimes those things are never marked down. I hope you and Terry drove so that you got all your treasures home!! Wow Kris......now that looks like a terrific day! How beautiful!! Thanks for sharing! You're right...everything is better when it's on sale!! Pretty stuff! Ohhh....laaahhh laahhh...I want one of each! I would go crazy in that shop! What a wonderful place!! I see another road trip in the near future!! Kris, be still my heart! Each photographs has treasures that took my breath away!! I'd love to spend some time in that awesome shop! Hi Kris, what fun you had visiting Shirley and going to The French Laundry. Love your pics. So many wonderful treasures and I spy a Texas plaque too. I would love to shop there. What a fabulous shop! So many pretties. Looks like there would be something there for almost everyone. Wow! I'm not usually tempted by outlets but I sure would jump at the chance to shop at this one! What a fun time that was had for you ladies. I'm going to check this site out. NM makes many of their things untouchable but I drooled through this post. Wow! That's like the Mothership calling you home! What a great store! 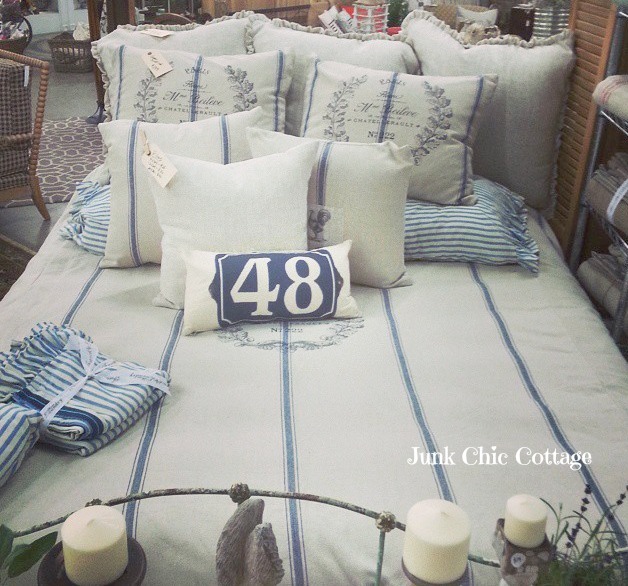 Love all the pillows, silver, bed linens, etc. What fun! What a treat to be able to go to this wonderful store. So many fantastic items, I want them all, lol! So glad you are back blogging and feeling better. Oh Kris - what was shop - would make the move worth it for that alone lol ! 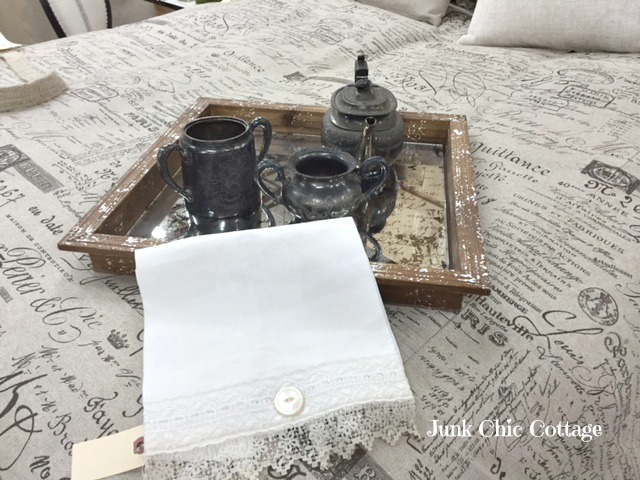 Their linens are just gorgeous ! 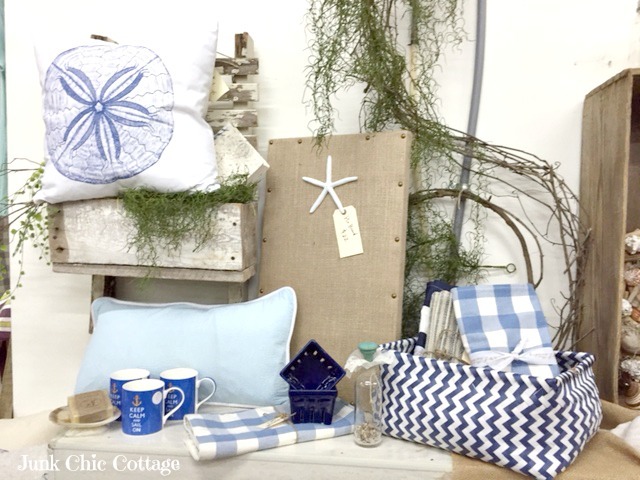 Beautiful shop, lots of gorgeous goodies!! I've been busy sewing curtains and ruffles for some new flour sacks for my new color I'm adding to my boring kitchen... it's only the third time I've changed out the kitchen in the 3 years we have been here. 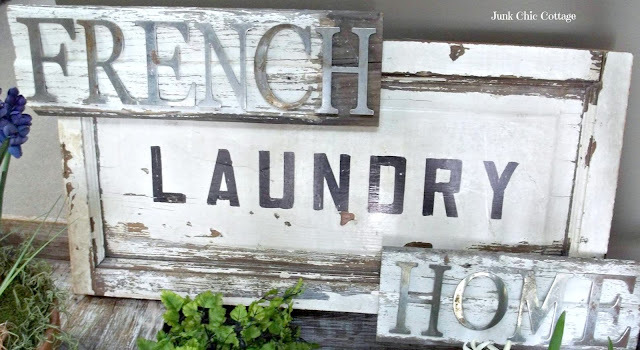 Hope to get it right this time, but I've got a wall I want down and can't even get Mr. P. to carry the garbage out in the summer so it might be many, many winters til I can get it down so for now I'll just sew, paint and repurpose anything I can get my hands on! 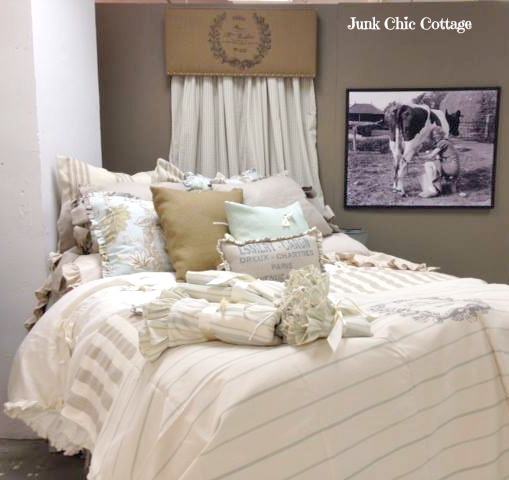 This beautiful shop has so many inspirational ideas... I'd be there all the time! Thanks for sharing it!